Many young graduates find themselves in a “Catch 22” situation where they are at a disadvantage for taking the option to go away to university and study to for a career they are interested in, when employers ask for experience – which can be hard to achieve unless you go to university later in life. Even for those who have decided to go straight into work or college and completely bypassing university, youth unemployment is high. The latest statistics from the government show 965,000 16-24 year olds were unemployed. Overall the UK has 2.47 million unemployed. This means just under 40% of all unemployed people in the UK are aged 16-24. There’s no doubt that many of the unemployed have got talents that employers are desperate for, but sometimes it can be the application process that lets some people down or they don’t shine as much as they should during the interview process. Here are two unrelated stories that you can learn from. Robbie Claridge from Norfolk graduated from Kingston University with a degree in environmental science and business management and set up his own catering business after giving up his job search. He applied for hundreds of jobs, but never got further through lack of experience. It took an unhappy stint as a delivery driver to encourage him to take things into his own hands. After setting up business in a layby next to a busy road, customers started to come and then eventually they recommended he bring his business to other places with more customers. Now his catering business is going from strength to strength; he has been booked to cater for a wedding, is breeding more pigs and chickens and has even had a smoker built by a friend in order to offer a more varied range of food. Adam Pacitti graduated in 2012 with a First Class degree in Media Production from the University of Winchester. He found the job search tough, struggling to stand out from the other CVs. 3 months had passed and he had applied to 250 jobs but found no success. Taking a huge step into the unknown Adam decided to start a campaign to find a job. Employadam.com was set up showcasing his media work, containing his CV and contact details. However, he needed to get people to go to the site and spent his last £500 on a billboard in London stating, “I spent my last £500 on this billboard, please give me a job – employadam.com”. After a few days it gained more attention, eventually leading to the #employadamhashtag trending on twitter, and he managed to secure interviews with many in mainstream media. In the end he received 60 job offers. Both of these graduates had to take risks in the step to coming successful. However, Robbie went with a safer option as people always need to eat. Raising animals is also something that can be profitable, but he brought the two together and is making the best of his situation. Doing research can help to reduce a risky decision by backing up your ideas with evidence. Whether this is investing money or taking a different bank account – do your research. Although Adam’s billboard may seem a waste of £500, it showed off skills that he needed to get a job. It showed he could plan a campaign, gave him a space to show his work and more importantly stand out. If you want to increase the amount you save, make a plan and stick to it. Both ideas were simple. Robbie’s was raising and selling food, Adam’s was to get a job. Having a simple aim makes it easier to achieve your goals. 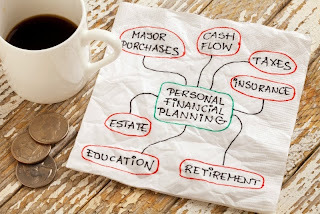 When managing your finances, don’t confuse yourself. It will make it much easier to manage and improve your situation.